Dr.Malpani's Blog: Busting myths about sperm and fertility ! Busting myths about sperm and fertility ! 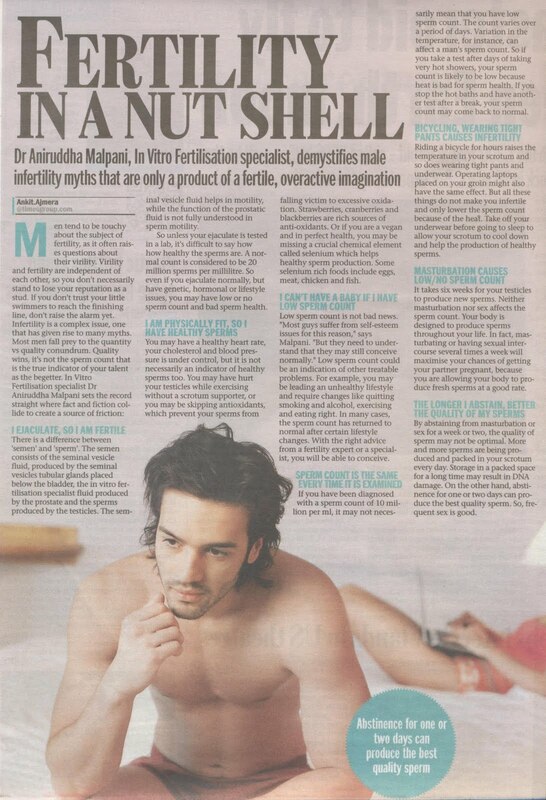 This article appeared recently in Mumbai Mirror, one of Mumbai's leading newspapers. We treat patients - not numbers ! Why do doctors give cuts ? Make the patients do all the work ! Launch of the Continua Health Alliance in India ! One more Malpani IVF Clinic success story !